International Day against Drug Abuse and Illicit Trafficking on 26 June 2016, Philippines Dangerous Drugs Board has made the banner . This past winter, as temperatures in Kathmandu Routinely fell low, NFA joined forces with Quest Volunteer Travels-Nepal to distribute winter clothing to the orphans. Children at the Jhewan Utthan orphanage suffers from years of material neglect. As a result, children go with little or no warm clothing for much of the winter. 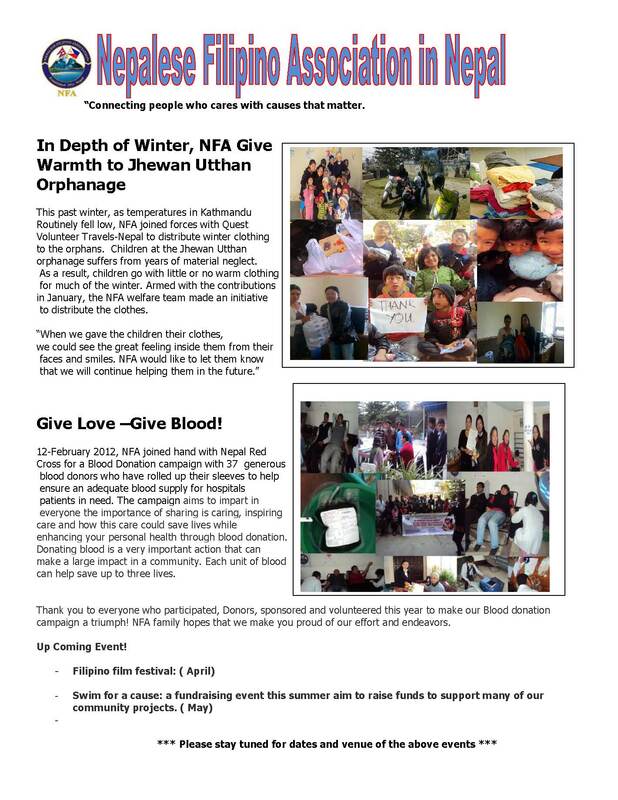 Armed with the contributions in January, the NFA welfare team made an initiative to distribute the clothes.